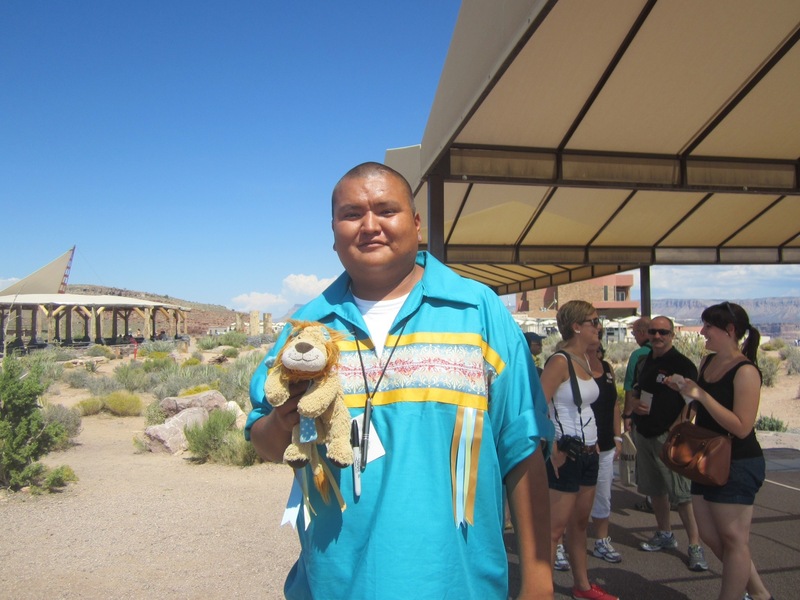 Lewis the Lion was lucky enough to meet some Native Americans who live in and around the Grand Canyon, in America: the Hualapai and the Havasupai tribes. However, whilst visiting the Grand Canyon, he also met another Native American Indian from a different tribe: Rick who is a Navaho Native American. Rick told Lewis the Lion that the Navaho Tribe (sometimes written as Navajo) is the biggest of the Native American tribes with approximately 2,500 – 3,000 people. His reservation covers the American states of Utah, Arizona and New Mexico. 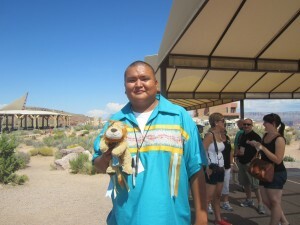 Here Lewis the Lion is with Rick as he teaches him his magic words in Navaho, the language of his tribe. Click here to see the video on You Tube. Rick then went on to tell Lewis a fascinating cultural point about his tribe, involving young teenage girls called the Miss Navaho Pageant. Unlike a regular pageant where a girl has to look pretty and say nice things about saving the planet, the Miss Navaho Pagaent is a totally different kettle of fish! From the age of eight, young girls start to learn how to skin a cow, clean the hide, make clothes and spin yarns. At the age of thirteen, she should be able to do all of this by herself and the girl in the tribe who can do it the best, wins the title of Miss Navaho! Lewis the Lion thought that Navaho girls must be really tough: what do you think?